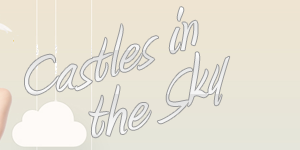 Welcome to Castles in the Sky! This collective features fanlistings revolving around animation, food, manga, music, video games, and other miscellaneous subjects. This is Version #5. Navigation is to the top-left. All of my fanlists are linked in the Owned section. What are fanlistings? A fanlisting is a joinable web clique or fanclub intended to gather a list of fans for a subject, from across the world. Think of them as small fansites with one primary purpose. If you're looking for larger informational sites, check out my main collective, Heartilly.Com, for my comprehensive shrines. There are 12 fanlistings hosted here, of which 12 are online and 0 coming soon. There are 1566 members total listed here. I have also joined 259 fanlistings. The newest fanlisting here is for Duo Maxwell & Heero Yuy.